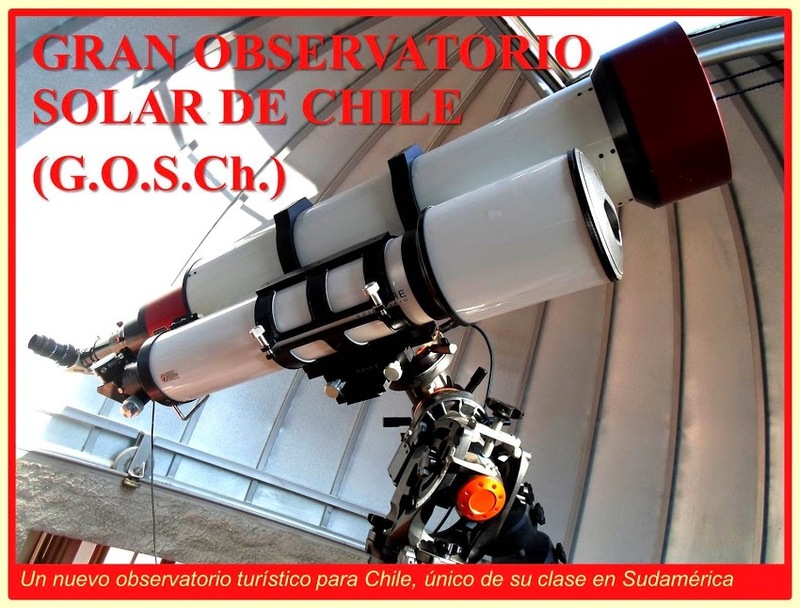 GREAT SOLAR OBSERVATORY OF CHILE: □ BEFORE THE G.O.S.Ch. 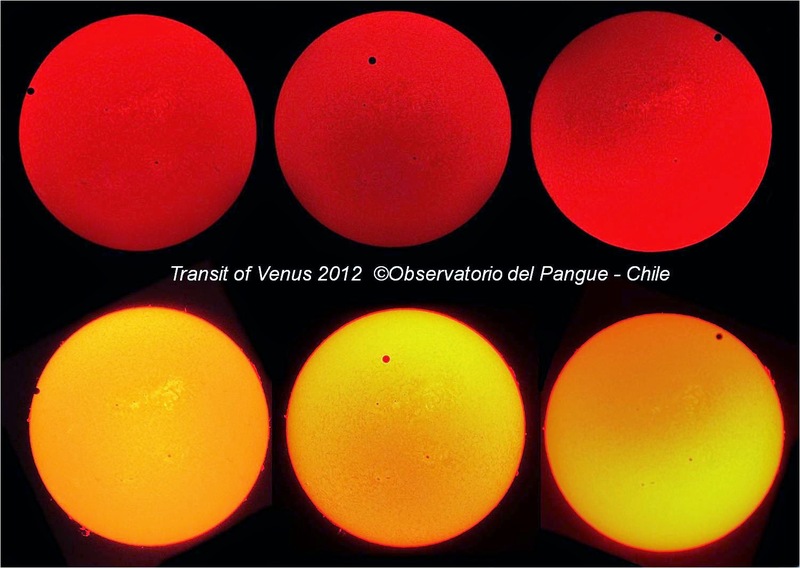 TRANSIT OF VENUS 2012 : MISSION ACCOMPLISHED ! We are pleased to announce that the staff of Astronomica del Sur Ltda. (ADSL) is the only chilean delegation that successfully observed the last Transit of Venus in front of the Sun, an historical event that took place in June 5th, 2012, and will not repeat before the year 2117 ! On that purpose, the ADSL Expedition had to go to Australia, since the phenomenon was not visible from continental Chile and only partially visible from Eastern Island. Camera Nikon D3100, prime focus of Lunt 152mm H-alpha telescope, processed from several exposures. This 2-colour sequence shows the progression of Venus through the solar disk, starting at North East (rights views), ending at North West (left views). The complete transit lasted for some 6.5 hours. The central views correspond to the maximum phase of the event, that is when Venus is at its closer distance to the centre of the Sun disk.